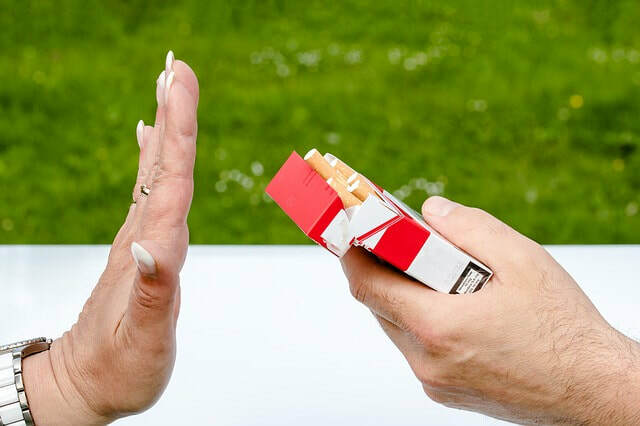 Research has shown that hypnotherapy for stopping smoking is more successful and much safer than nicotine replacement products or medication. ​or for a Free phone consultation to discuss if this is right for you. ​I had an appointment with you two years ago and after 54 years of smoking have not had a cigarette since my hypnotic session with you. People cannot believe I actually gave up - I used to smoke approx 40 roll ups a day. I would recommend your service to anyone who is thinking of giving up smoking. I'm Brian Jacobs and I have over 18 years experience in helping people like you stop smoking. I use a special method that combines hypnotherapy and Neuro Linguistic Programming (NLP) to increase the success rate. So, provided you are determined to stop smoking, you have an excellent chance of stopping smoking in just one session. Prior to the stop smoking session we will send you TWO FREE MP3s to listen to. These will prepare you for the hypnotherapy session. The first mp3 will help dispel the myths surrounding hypnosis. The other is a self-hypnosis track for stress management which we urge our clients to listen to prior to coming to see us. During the hypnotherapy session I will help you break the habit of smoking. I also help you break the connections with smoking, whether they be emotional (such as stress or boredom) or physical (such as after a meal or with a drink) and help you feel great about becoming a non-smoker. I will do my best to help you stop smoking and remain a non-smoker. The majority of clients just need 1 session to stop smoking. If you are one of the few who requires additional support, all you have to do is give my office a call and you can come back for additional sessions at no extra charge. When I stop smoking, will I gain weight? This question comes up very often. People are overweight because of the food they eat. Some people may have stopped smoking in the past, using willpower or some other method, only to replace smoking with snacking. However what I do in the stop smoking session is a) help you transfer the satisfaction that you may have had from smoking to something that is better for you, perhaps drinking more water or doing exercise, and b) give you powerful suggestions in hypnosis that there will be no increase in your appetite on becoming a non-smoker. This should allow you to become a non-smoker without gaining weight. ​What's the difference between this method and that used by other hypnotherapists? Some hypnotherapists only use suggestion hypnosis to help their clients stop smoking. However I use a unique combination of hypnotherapy and NLP (Neuro-Linguistic Programming) to increase the success rate. Will this Work for Cannabis, Chewing Tobacco, or Shisha? Although the Stop Smoking programme is primarily aimed at those who only smoke cigarettes, I have used it successfully with those who smoke cannabis, chewing tobacco and shisha..
Stop smoking sessions are available at both the Finchley Central office and Harley Street office.